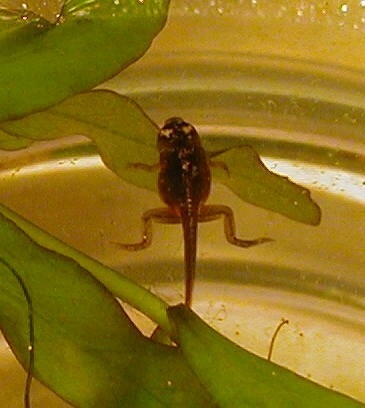 7 week old Dwarf African Frog (Hymenochirus boettgeri) tadpole in mid transformation into a frog. Image taken by Mandie Glasson and permission given to use freely. This page was last edited on 9 December 2007, at 17:34.